The answer to how long to cold brew depends on the size of your brewing container, amount of beans, etc. however for most personal use brews, a time of 12 to 24 hours is recommended. For my brews, I have settled on about 14 hours as my ideal. 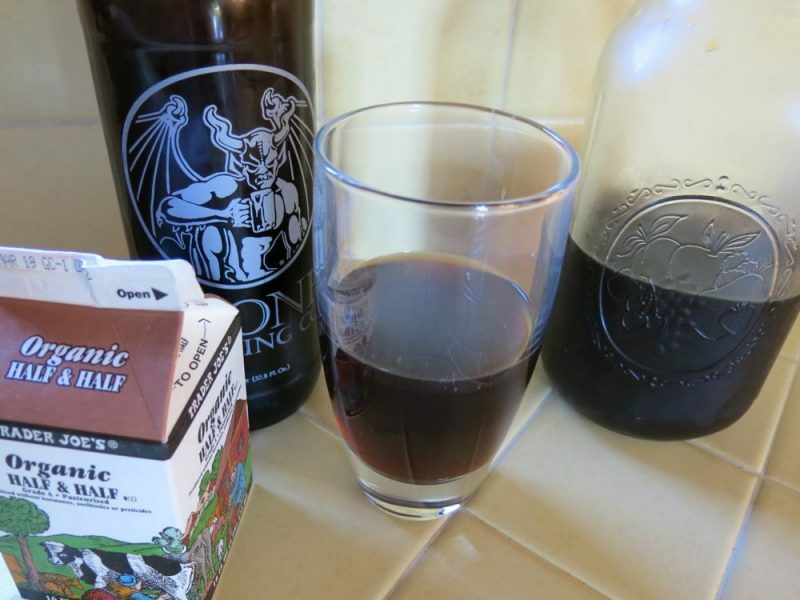 Unlike conventional brewing, cold brewing coffee is not an instant gratification process. You will need to plan ahead, however once you have your brew underway, no labor is required. Depending on how easily distracted you might be, setting an alarm can be a good way to make sure you don’t forget about your brew. Once you have masterfully brewed your cold brew, it’s time to serve it up. With the brew completed, you’re left with a container full of golden tastiness. While you may be disheartened at the amount of cold brew coffee you produced, keep in mind in cold brewing you actually produce a concentrate. For most tastes, you’ll want to serve your cold brew about 50% cold brew concentrate, and 50% water and/or cream of some kind. Again, experimenting for your preferred strength is encouraged, however if you’d rather keep it simple, just go 50/50. For reasons unknown to me, most people drink coffee hot. If that’s your “cup of tea”, then simply dilute your cold brew as specified above and heat your cup in the microwave (or stovetop if you’re old-school). Once heated, add your preferred cream and sweetener if desired. Stir, drink and enjoy! All stirred up and ready to drink! My preferred way to drink just about anything is cold, and that goes for cold brew too. I like to start my glass with a healthy dose of simple syrup (more on that below). Then pour in your cold brew, filling about 50% of the glass. Since ice has an annoying tendency of melting, I factor in my ice into the 50% dilution. I’ll add some filtered water, a good amount of ice cubes. Finally, I finish it off with a splash of half and half. Although I have tried everything from rice milk, to powdered non-dairy creamer, to whole milk, half and half is my preferred cream. 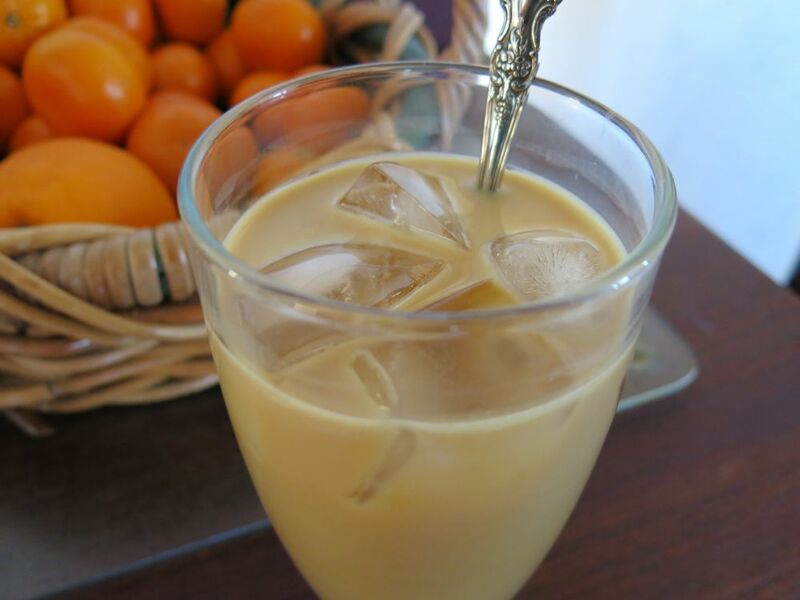 I also plan to try sweetened, condensed milk which happens to be one of the ingredients in my favorite cold brew beverage at Peet’s Coffee. Once you have your perfect ingredients, stir and enjoy! Prior to discovering the joys of simple syrup, I tried stirring sugar directly into my iced cold brew coffee. As you might recall from high school chemistry, solids don’t dissolve well into cold liquids. The solution? Simple syrup. As the name implies, making simple syrup is wicked-easy. Even I can do it! I take two cups of water, heat to a boil and stir in two cups of cane sugar. Once the sugar is fully dissolved, let it cool down and then pour it into a sealable container which you can keep in your fridge. The shelf life on this stuff is long, so make up a batch in whatever quantity you want, just keep it equal parts sugar and water. If you want to get fancy, you can infuse the simple syrup with flavor during the boil. I like to add a few drops of vanilla. Others like adding chickory. Keep in mind if you’re infusing with anything solid, you will want to filter that out prior to bottling the simple syrup. The beauty of simple syrup for cold drinks is that it essentially dissolves instantly when added to your iced beverage. . . just a quick stir and your good to go. Once you make your brew, keep it in a sealable container in your refrigerator. Some folks claim you can keep it for weeks that way, others say drink it within a few days. I regularly store mine refrigerated for up to a week without a real noticeable decline in taste, however that first glass right after the brew always tastes the best to me. Personally, I wouldn’t brew more than you can drink in a week or so. 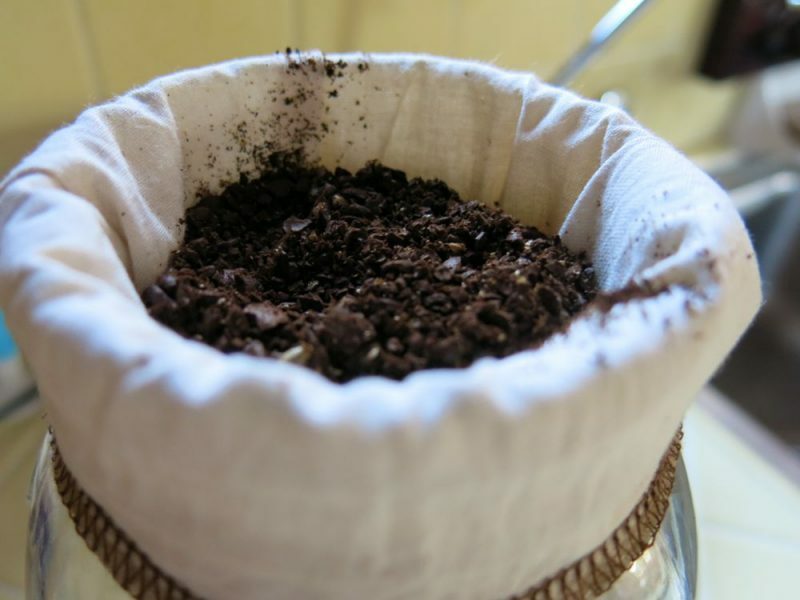 Unless you happen to be able to grow your own coffee beans and operate your own roaster, you’ll still be forking over some of your hard-earned loot to the likes of Starbucks, Peet’s or your other favorite local coffee shop and/or roaster. By my rough calculations, I’m paying about $1 per icey, tall cold brew coffee vs. closer to $4 at a local coffee shop. Oddly enough, I actually find I prefer the taste of my own brews to those I used to buy at the shop. Although brewing takes a little time and effort, I think I actually spend less time on my coffee since I’m not driving to the coffee shop and waiting in line daily. Although cold brewing has been a growing trend in the last year+, I am still surprised by how few people are aware of it. If you have any coffee-drinking friends, please share this article with them. Their tastebuds will thank you for it. Whether you’re a cold brew pro or a newbie, let us know about your cold brewing experience and favorite brewing tips in the comments section below. Happy brewing! Buy a French Press and use it at room temperature or in the fridge versus adding hot water. You can get incredible and strong coffee without bitterness with good beans. Hi Corey. Thanks for the tip. There are definitely lots of fans of the French Press out there (both conventional and otherwise)!